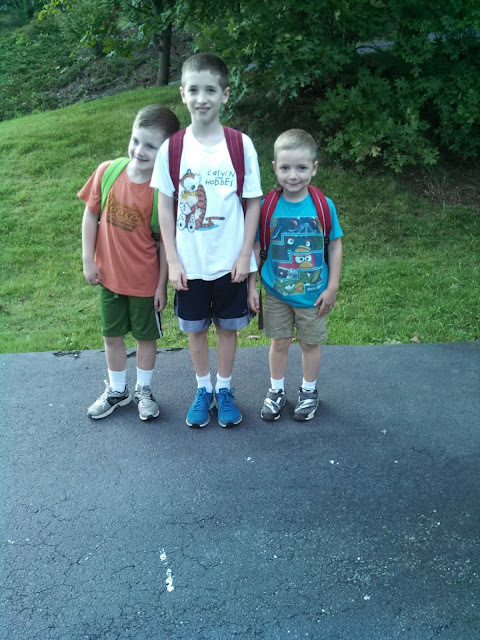 This post is a good excuse for a cute first day of school picture, don't you think? She nodded, indicating that they had decided to make a change. I could tell she felt a little uncomfortable, nervous even, and I knew why. Our kids go to school together. We were alike, and her decision was about to make us different. Would I receive that as an indictment about my own choice? There was a time, however, when I struggled when others in our church made choices different than my own. I worried that I was not spiritual enough or that others were judging me or that perhaps I was actually missing what God was saying to me. I wrestled in prayer, rehashing over and over with God what He had already laid out clear. This discomfort with differences and resulting division is, unfortunately, not unusual among women in the church. And our greatest struggles and misunderstandings are typically concerned with open-handed issues, such as education choices, working/non-working choices, financial choices, and parenting practices. As a result, we self-divide, huddling into groups that share our convictions and can best relate to us. We create further division when we evaluate and judge others based upon our convictions. This is dangerous for the church and not at all biblical. In my own season of struggle over these issues, I discovered an incredibly helpful framework in Romans 14 for how to relate to all women in the church regarding open-handed issues. As I began to personally meditate on the truths of Romans 14, focus on following God’s leading in my own family by faith, and seek to edify and understand the women around me, I experienced the freedom and joy of living as unto God rather than being concerned with what everyone else was doing. He released me from self-condemnation. This same freedom is available to women in our churches as we cross false boundaries, champion one another’s faith, and focus on what is truly at the heart of the kingdom of God. This is how love abounds among both “Jew” and “Gentile”.